Yes it has. Heat, pressure and combustion products of hypergolic propellants. 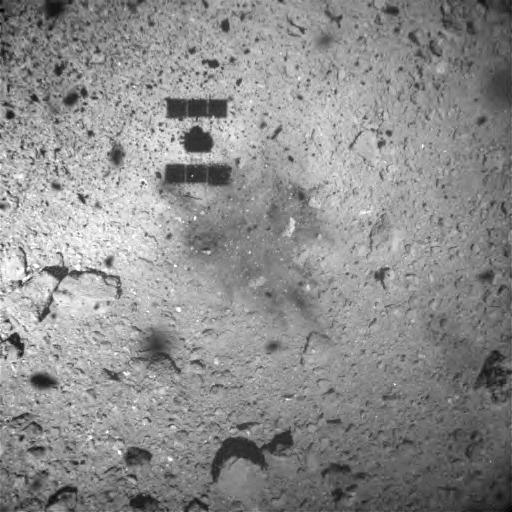 Among the pictures released were some from before the landing that don’t show any stains on the surface and some from after the landing which do show such stains. Wonder if the force from the thrusters changed it’s course or trajectory.